Holy spring water tirta empul. Our combination ubud and kintamani tours will started in morning 8:30 – 09:00am , for started our trip we heading to batubulan village for watching barong and Keri’s dance performance, after that we visit batuan and celuk village for see how local Balinese artist make batik art,painting and wood carving by hand(handmade), Continue to visit a local coffee and spice plantation in the afternoon. 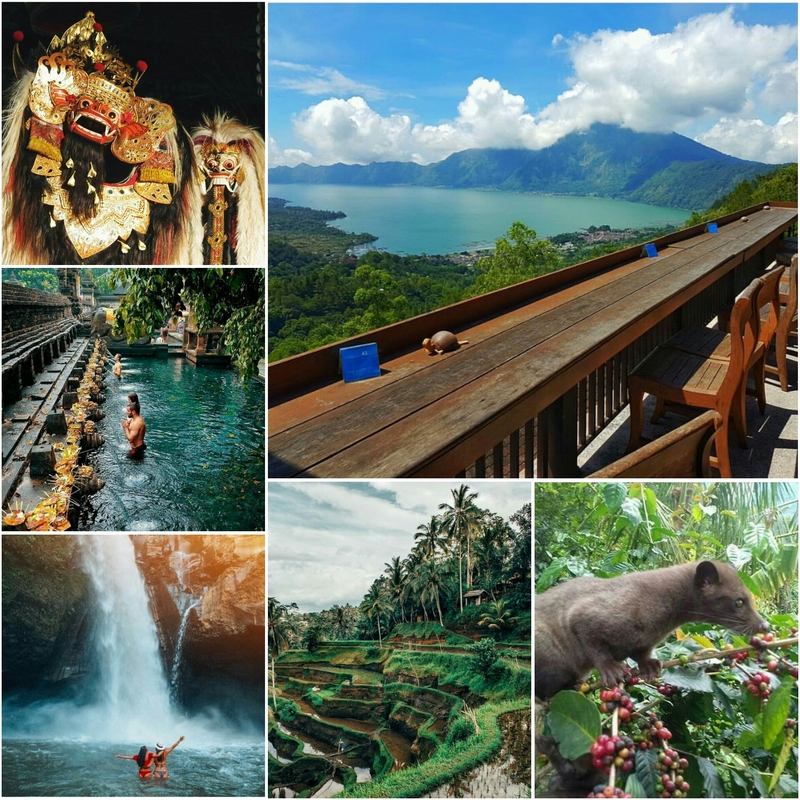 Taste some of the legendary coffee made using coffee cherries part digested by palm civets, and after than we heading to kintamani volcano for enjoyed the view from penelokan village and having lunch with wonderful volcano views. After lunch continue our trip to visit holy spring water temple,tegalalang rice field and the last visit tegenungan waterfall and enjoyed the water spray.